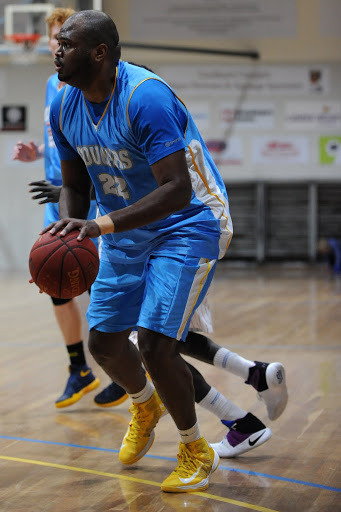 MARCUS Goode could very well be the Men's SBL MVP for 2016 but there has been much more than just his arrival behind the rise of the Lapa Brazilian BBQ Restaurant Cockburn Cougars in 2016 with the addition of veterans Daniel Thomas and Rhett Della among the other strong factors. After missing the playoffs the previous two years on the back of winning the 2012 championship, the Cougars soared back into being a contender last season with a tremendous regular season with a 17-9 record before losing to the Rockingham Flames in the quarter finals. Maintaining Najee Lane was then crucial and with Gavin Field, Sheldon McIntyre and Julian Pesava among those ready for another crack, coach Matt Parsons only needed to add some carefully selected pieces to see the Cougars improve further in 2016. The signing of Marcus Goode has been obvious in its success with the big man right at the forefront of MVP calculations proving capable shooting inside and out, working in the block, dominating the glass and his defence continues to improve. 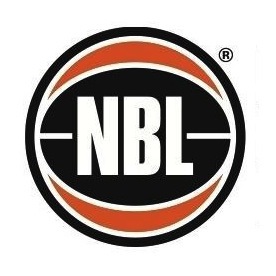 The additions of veterans Daniel Thomas and Rhett Della has proven just as important with the former taking over the point guard duties and showing he has plenty left in the tank while Della has arrived from Mandurah and shown he remains one of the most versatile and efficient players in the SBL. Jaarod Holmes has also been handy upon return to the Cougars this season and it's that depth that helped them to a 19-3 record to remain on top of the standings even with Field, Thomas and McIntyre missing games of late. Parsons couldn’t be happier with what Thomas and Della have added to the Cougars in 2016. "DT is a beauty. I really like him. He is such an infectious sort of person and off the court he's a really deep thinker so he keeps me on my toes, and challenges me. That's what you want from your point guard," Parsons said. "Rhett is a little bit opposite to that because he's such a laid back character but boy does he work hard. I don’t think there is anyone in the league with a work ethic like him and it's a luxury for me to have three or four guys who I can swing into that starting line-up as a back up. "If I don’t play him in a starting role, I've always got him to come off the bench and no matter what he will give consistent minutes and work ethic. He's just a brilliant player." The impact Goode has had on Cockburn is easily seen in his numbers of 23.8 points, 15.2 rebounds and 2.5 blocks a game while shooting 52.7 per cent from the field and 72.5 at the free-throw line while also adding in that he's stretched the floor by his 13 threes along the way. But it's his presence and infectious aura that is just as impressive and he has that rare ability to put up some huge personal numbers, but make the players around him better and put an emphasis on winning games. Parsons put in a lot of time and effort before signing Goode to make sure he would be the right fit for the Cougars program and the fact that he could be the MVP favourite in a team leading the league, it's hard to argue with the results. "I was probably watching Marcus about six months before we made the deal happen and I haven’t seen a big guy with his touch offensively, but the question mark was what he was going to do for us at the defensive end," he said. "There was a lot of video on him and a lot of hype about him, he isn’t a hidden talent like Najee Lane was. Marcus had a small reputation where people could see his work and there hasn’t been a big man in this league with that skill set ever. "He can put the ball on the floor and he's evolved this year to the point where we can actually run isolations for him on the wing. There's no other big man that can do that and he's just fun to watch. "He's probably the worst player to play against because he's annoying, but he's excitable and enjoys himself. As a teammate and coach, he's a lot of fun to watch." As much as Goode has been tremendous all season for the Cougars, he has stepped up to another level further the last seven games averaging 30.7 points and 18.4 rebounds with Cockburn's winning run stretching to 10. As much as the MVP award would be a great boost to Goode's career in what is his first season ever playing outside of the United States, Parsons hopes that a championship would be more important to him and he is confident that's the case – not to mention well within reach at this point. "All I want is that championship and I think he feels the same, and so does Najee and the older boys. Individual accolades don’t mean a lot at this time of year but personally I would love to see him with the MVP trophy and whatever his teammates get this year," Parsons said. "His last month has just been phenomenal and that's huge. He would like to be MVP and why he would love it is because it would help boost his potential career. "He's 28 now and this is his first professional contract outside of America so winning an MVP probably buys him another two or three contracts so he can show what he can do. But I'm sure he wants to help us win that championship first."